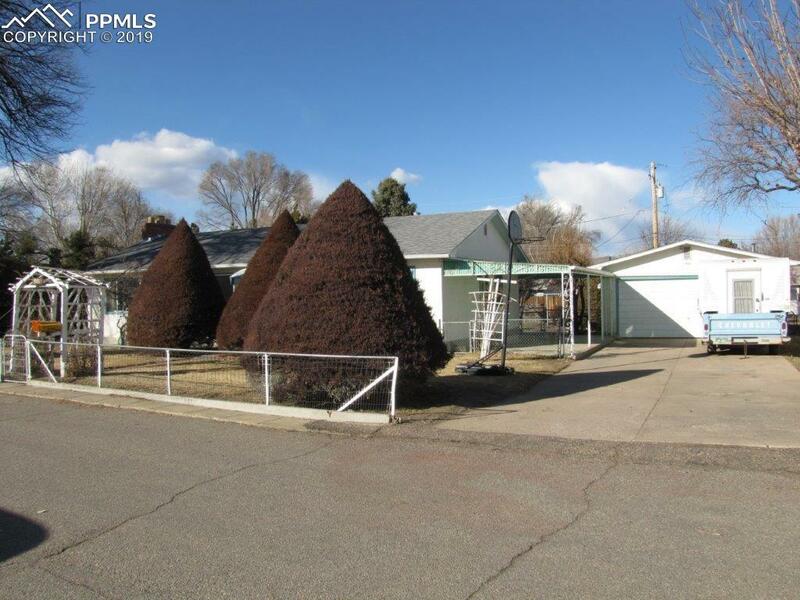 Charming 2 bed ,1 bath stucco home on a beautiful corner lot! Fabulous yard with mature landscaping, fenced yard and includes an apple and pear tree! Concrete driveway to the detached 2 car garage. Kitchen has space for an eat in dining area. Nice formal dining and finished partial basement! The living room has a wood burning fireplace with brick accent and a walkout to the 10x14 covered concrete back patio! Sellers have used living room as master bedroom. All appliances are included! An additional covered patio on east side of home. With some updating would make this a perfect investment. 3 share of Union ditch water is huge bonus to keeping the yard nice and green. This won't last long, schedule your appointment today.